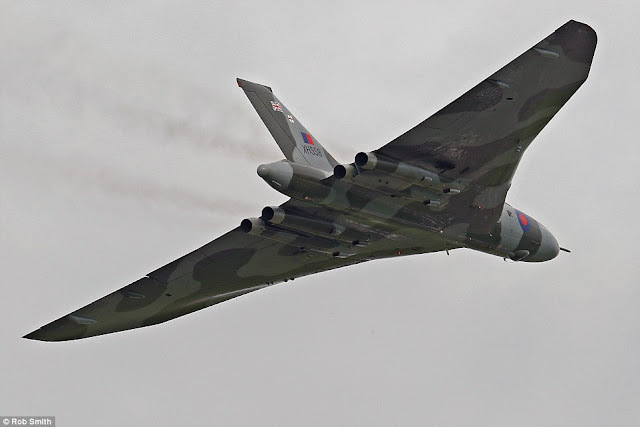 So that is it for the large delta winged Royal Air Force (RAF) Vulcan. Commissioned into the British Air Force in 1960, this cold era huge aircraft easily recognisable by its delta wings flies its farewell flights over Britain for the Brits to see it fro the last time. Although the aircraft was in service with the Royal Air Force till 1993, a major rehaul programme made it flew in 2007. But it was decided that it will fly for the last time later this month following its £75,000 tour of Britain this weekend.